Events and your experiences in life change when planets move into different constellations or stars – different energies blend to create new and unique possibilities. Every planet relay unique energies that affect life on earth in different ways. Therefore, in every planet’s major or minor period you develop specific propensities towards a particular thought pattern and tendencies to put those thoughts into action. A major planetary period (dasha) is divided into minor periods of all the nine planets, known as bhukti. Nine planets share the dominion of a planet’s major planetary period for short periods of time. While major planetary period or dasha lasts between 6 to 20 years, minor planetary periods or bhukti varies from 8 months to 2 years within the stipulated period of any dasha. At any given point of time in your life, it is the interplay of two planetary energies that determine your life conditions. Planet of a major planetary period or dasha may be friendly or inimical to the energies of a planet of minor planetary period or bhukti. When friendly planets come together, life is enjoyable but when inimical planets come together, they create incongruencies. Is It Possible to Avoid Confusion and Come to Terms with Life during such Planetary Periods as well? By studying the energy patterns between the dasha and bhukti planets at a point of time, astrologers can indicate the actions and decisions supported by the planets, or what kind of course of life the planetary energies indicate – their beneficial and harmful sides. So, an analysis of a bhukti under a dasha will help in determining course of your life at different times. Conscious efforts with right guidance will help you synchronize your life with energies prevalent in your life at every point of time. Request your Current Major/Minor Planet of Influence (Dasha/Bhukti) Report to live an effective life with better awareness. When you order a dashabhukti report, an elaborate document will be sent to you describing effects of your current minor planet of influence (dashabhukti) on your immediate present life conditions. DashaBhukti report is created based on study of dasha and bhukti planets. They indicate how the planets distribute their energies and lay the path of your life. Planet of a bhukti in conjunction with dasha planet affects your health, finance, relationship, attitude and the way you look at life. Placement of each of these planets in a house and a sign in your chart indicate the type of energies they are likely to bring in your life. 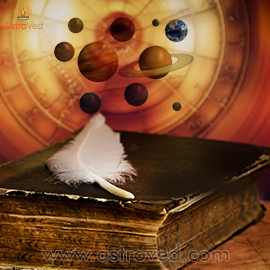 So, to find out facts about your life, astrologers study the sources of different energies and their interactions. Dasha and bhukti planets pinpoint the situations which are likely to be created under different times of your life. We regularly remind our registered users 15 days prior to the onset of their Major (Dasha) and Minor (Bhukthi) periods. Please Register for the facility here. Kindly note that the predictions for the elapsed period of Major or Minor periods will not be a part of the Report.